As an Art Director, I am called to visualize an ethereal moment and enact a set in a certain time and space. From the wallpaper or the door knob, to the dress or the cigarette filter, every detail is choreographed with elegance and perfection, until it builds up to a signature style. 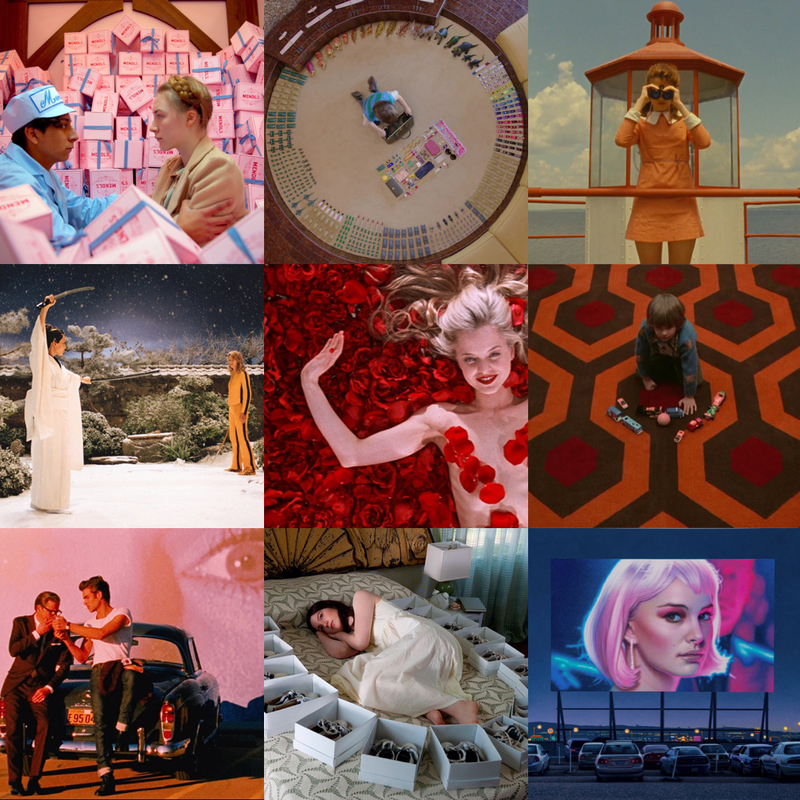 The pattern on the hallway carpet in “The Shining,” the Mendel’s boxes in “The Grand Budapest Hotel,” Natalie Portman’s pink wig in “Closer,” the Chanel suits in Almodovar’s “High Heels,” Ryan Gosling’s bomber jacket against the neon lights in “Drive”… these aesthetics contributed in making some of the most iconic scenes in recent film history. Here are my visual recollections of the movie moments that inspired – and continue to inspire – me. Tags: a clockwork orange, a single man, almodovar, amelie, american beauty, art direction, art director, arthur ashe, big eyes, blue velvet, cinematography, closer, creative director, cult films, david lynch, direction, drive, films, high heels, in the mood for love, kill bill, moonrise kingdom, movie posters, movies, postman dreams, prada, sam mendes, stanley kubrick, stoker, the grand hotel budapest, the man from uncle, the shining, wes anderson. Bookmark the permalink.